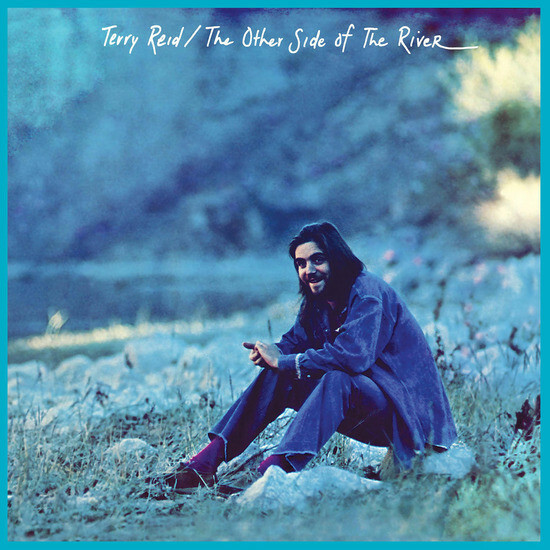 TERRY REID-THE OTHER SIDE OF THE RIVER. For many people, Terry Reid is music’s nearly man. He could’ve been the lead vocalist of two of the biggest rock bands in musical history. Sadly, that wasn’t to be, instead,Terry Reid decided to concentrate on his solo career. He released six studio albums between 1968s Bang, Bang You’re Terry Reid and 1991s The Driver. Each of these albums were well received by critics. Despite this, none of these albums enjoyed the commercial success that Terry Reid’s considerable talents deserve. So in 1981, Terry Reid called time on his solo career. He was only thirty-seven. By then, he had released just five solo albums. 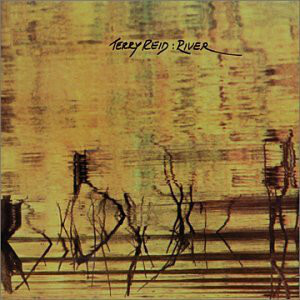 Without doubt, one of Terry Reid’s finest albums is River, which was released on Atlantic Records in 1973. River had been recorded by Terry and his band during lengthy sessions in London and Los Angeles. Seven tracks found their way on to River. That was only part of the story. Ever since the release of River in 1973, rumours began to do the rounds about other tracks that had been recorded during the River sessions. Since then, these rumours have grown legs. Some people however, weren’t convinced. Surely, if Terry Reid had recorded more songs during the River sessions they would’ve been released? 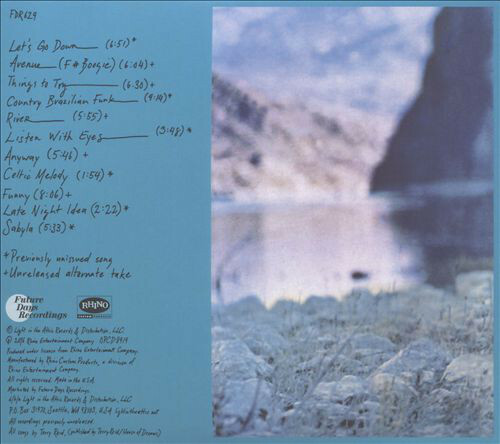 Recently, the sceptics were proved wrong, when Light In The Attic Records released The Other Side Of The River, which features eleven track. They’re a mixture of new songs and alternate takes, and a reminder of one of British music’s most underrated singer, songwriter and musicians, Terry Reid, whose affectionately known as superlungs. His career began in 1965. By then, Terry Reid was just sixteen. He had been born in Huntingdon, on 13th November 1949. Growing up, Terry attended St. Ivo School, St.Ives, Cambridgeshire. That was where he joined a local band, The Redbeats. It was when platting with The Redbeats, that Peter Jay, the drummer from a rival group, Peter and The Jaywalkers first spotted Terry Reid in action. Straight away, he realised Terry would be the perfect addition to Peter and The Jaywalkers. Peter convinced Terry to join his band, and soon, Terry was a Jaywalker. Soon, Peter and The Jaywalkers’ star was in the ascendancy, when they were named as the support act for the Rolling Stones, when they played at the Royal Albert Hall. This was where Graham Nash of The Hollies first met Terry Reid. The two musicians soon became firm friends, and Graham Nash suggested that Peter and The Jaywalkers should sign to the UK division of Columbia Records. Peter and The Jaywalkers didn’t have to think twice, and soon, were signing on the dotted line. At Columbia Records, Peter and The Jaywalkers worked with producer John Burgess on their debut single, The Hand Don’t Fit the Glove. It was released by Columbia in 1967, and gave the band a minor hit. Unfortunately, by then, Peter and The Jaywalkers had split-up. After this, Terry decided to pursue a solo career. Fortunately, Terry Reid had come to the attention of producer and music impresario, Mickie Most. He produced Terry’s debut single Better By Far. On its release in 1968, it found favour among DJs, who soon, began to play the single on their radio shows. So Mickie Most took Terry into the studio to record his debut album, Bang Bang, You’re Terry Reid. When it was released later in 1968, it was to critical acclaim. Unfortunately, Bang Bang, You’re Terry Reid passed record buyer by. Soon, so did the opportunity of a lifetime. Terry Reid had come to the attention of Jimmy Page, who had just disbanded The Yarbirds. He was in the process of putting together a new band, The New Yarbirds, and was looking for a vocalist. Jimmy Page had set his sights on Terry Reid, and decided to recruit him for his new band. There was a problem though. It turned out that Terry Reid had agreed to tour America with Cream. Terry was the opening act, and as part of the tour, would play the prestigious Miami Pop Festival. Everything was agreed, and Terry was a man of his word. There was no way he could back out at the this late moment. So Terry recommended Robert Plant, a Birmingham based vocalist, as The New Yarbirds to Jimmy Page. Terry’s recommendation, changed musical history. He could’ve been part of one of the most successful rock bands ever, Led Zeppelin. Incredibly, lightning struck twice for Terry Reid. 1969 found Terry Reid’s star in the ascendancy. The American tour and his appearance at the Miami Pop Festival resulted in him becoming popular in America. Terry was also a familiar face in Britain during 1969. He opened for Fleetwood Mac and Jethro Tull, and released his sophomore eponymous album Terry Reid. Although it received positive reviews from critics, the album failed to find an audience. So later in 1969, Terry headed stateside where he opened for the Rolling Stones on their American tour. By then, Terry Reid a familiar face in America, and already built up a loyal fan-base. So touring America with the Rolling Stones allowed Terry Reid’s music to be heard by a much wider audience. Night after night, Terry opened for the Rolling Stones as they played sold-out shows coast to coast. The only Rolling Stones Terry Reid didn’t play at, was their biggest and most controversial, Altamont Music Festival. Fortunately, Terry Reid wasn’t booked to appear on the bill of the hastily organised Altamont Music Festival. This meant Terry avoid the bloodshed, chaos and violence. Terry had had a lucky escape. However, Terry might not have been on the Rolling Stones’ tour if things had turned out differently with Deep Purple. During their 1969 American tour, Deep Purple decided to change direction, and move towards a heavier, rockier sound. Vocalist Rod Evans the other members of Deep Purple though, wasn’t suited to this style. It was decided that Rod Evans would be replaced. He was already contemplating an alternative career as an actor. So Deep Purple went looking for a replacement. The man Richie Blackmore set his sights on was Terry Reid. Unfortunately, Terry Reid was still contracted to Mickie Most. He had signed Terry to an “exclusive recording contract.” Mickie Most had two options. He could let Terry join Deep Purple, or hold him to his contract. Rather than let Terry join Deep Purple, Mickie Most held him to his contract. After all, Mickie Most had plans for Terry. The “exclusive recording contract” that Terry Reid had signed with Mickie Most didn’t expire until 1973. Things had deteriorated to such an extent, that Terry was unwilling to record with Mickie Most. So Terry headed to California, and took some time out. Over the next few years, Terry Reid only played a few live shows. This included the Isle of Wight Festival 1970 and later that year, the second Atlanta Pop Festival. Then in 1971, Terry returned to play at the Glastonbury Fayre. Apart from that performance, Terry Reid kept a low profile as he ran down Mickie Most’s “exclusive recording contract.” By 1973, Terry Reid was free at last. This left Terry Reid free to sign to Atlantic Records. Soon, he began work on what became River. For River, Terry had penned Dean, Things To Try, River and Dream. He cowrote Avenue with John Abercrombie; Live Life with Ray Davies and put lyrics to Miles Davis’ Milestones. These tracks would be recorded with Terry’s band. Recording began at Advision Studios, in London, with Eddy Offord producing the River sessions. Eddy Offord who went on to produce Yes and Emerson, Lake and Palmer, was regarded as a perfect fit for Terry Reid. He was no stranger to electric blues, and had produced two albums for Taste, a trio which featured Rory Gallagher. The two albums 1969s Taste and On The Boards had turned out well. So given his track record, surely, the partnership of Eddy Offord and Terry Reid would work out well? That should’ve been the case. So, with Eddy Offord booked to produce the River sessions, Terry Reid and his band arrived at Advision Studios. Terry added vocals and guitar during what were long, drawn-out and frustrating sessions at Advision Studios. For whatever reason, Terry Reid and his band didn’t hit the ground running. Usually, recording sessions ran smoothly, and weren’t long, drawn-out affairs. The River sessions was a frustrating time, with recording of what was meant to be the River a time-consuming and ultimately fruitless. There was a problem, but nobody seemed to know what? Maybe Eddy Offord was the wrong producer? That’s never became clear. What became clear, is that Terry wasn’t happy with River. He decided to scrap the album, and head to Los Angeles to rerecord River. Terry Reid and his band arrived at Wally Helders, in Los Angeles. This time around, the band featured drummer Conrad Isidore, bassist Leo Miles and David Lindley on electric guitar, slide guitar and steel guitar. Willie Bobo added percussion on just the one track, River. Engineer Ed Barton acted as a de facto producer. Despite that, Tom Dowd was credited as producing five tracks that made it onto River. Once the sessions were completed at Wally Helders in L.A, Terry headed over to Miami, clutching the master tapes. At Criteria Studios, the final master tapes were assembled. Only two songs produced by Eddy Offord, Dream and Milestones made it onto River. Five Tom Dowd productions made it onto the River, including Dean, Avenue, Things To Try, Live Life and River. These seven tracks became River. Once River was complete, Terry Reid delivered the completed album to his new label Atlantic Records. They scheduled the release of River for later in 1973. Maybe after two false starts during the Mickie Most years, it would third time lucky for Terry Reid? That looked like the case when critics heard River. They were hugely impressed by Terry Reid’s comeback album. After four long years, Superlungs was back, with album that married elements of blues rock, folk rock, Latin and rock. It was impressive fusion of styles, with Terry picking up where he left off on Terry. Just like previous albums, Terry Reid eschewed the tightness many musicians preferred. Instead, Terry style was looser, and prone to improvisation on what was essentially an album of jams. They found Terry thinking on his feet musically, as he switched between and combined musical genres. Four of the songs found Terry and his band lock into languid, laid back, blues rock grooves. Then it’s all change, as River takes on a Latin sound. Dream and Milestone the find Terry trade his electric guitar for an acoustic, as he dawns the role of troubadour on two beautiful, but wistful songs. Critics were won over by what was, without doubt, Terry Reid’s finest hour. As a result, critical acclaim accompanied the release of River. This bode well for River. Alas, commercial success eluded River, and Terry Reid continued to be one of music’s best kept secrets. Following the commercial failure of River, Atlantic Records cut their losses, and Terry Reid left the label. Terry Reid continued to search for a winning formula which would bring him both commercial success and critical acclaim. While he often enjoyed critical acclaim, commercial success seemed to elude him. That was the case with the Graham Nash produced Seed Of Memory. It found Terry backed by an all-star band. Seed Of Memory was released by ABC Records in 1976. Although critics were won over by Seed Of Memory, commercial success eluded Terry Reid. This became a familiar story. Two years later, and Terry Reid returned with Rogue Waves. It was released on Capitol Records. Terry combined hard rocking numbers with soulful songs. Maybe this would be that elusive winning formula that Terry had been seeking for a decade? Sadly, that wasn’t the case. While the album was well received by critics, Rogue Waves passed record buyers by. For Terry, this was almost the end of the road. Three years later, in 1981, Terry Reid called time on his solo career. He retired aged just thirty-seven. By then, he had released just five solo albums. Terry decided to concentrate on working as a session musician. For the next ten years, Terry Reid made a living as a session musician, accompanying some of the biggest names in music. Then in 1991, Terry, like many retired musicians, decided to make a comeback. He signed to Warner Bros. and released The Driver in 1991. Many critics welcomed the return of Superlungs. Other critics felt The Driver wasn’t Terry’s best album. With no consensus, record buyers had the casting vote. It was a familiar story, with The Driver failing to find an audience. For Terry Reid, this was a huge blow. Never again would Terry return to the studio. Instead, the only album Terry Reid released was Alive! in 2004. It featured a concert recorded a decade earlier in live in California in 1994. Alive! was a reminder that Terry Red was a truly talented singer, songwriter and musician. So was another live album released during 2004. Later in 2004, another live album was released, Silver White Light-Live At The Isle Of Wight 1970. This was recorded during the three year standoff between Terry and Mickie Most. It’s a tantalising taste of what should’ve been the formative years of Terry Reid’s career. He was only twenty-six and could’ve and should’ve been enjoying successful albums and playing sellout shows. Instead, he was running his contract with Mickie Most down. These were three wasted years for Terry, which must have been hugely frustrating for him. The three years out of the musical spotlight most likely, damaged Terry’s career. When he returned in 1973, it was almost like starting over. By 31st August 2010, Terry Reid was back in London, where his career began forty-five years earlier. He was due to play at Ronnie Scott’s. That concert was recorded, and two years later, was released as a double album, Live In London. It showed that although Terry was sixty-six, he still was a hugely talented singer and musician. That night, Terry’s set featured fourteen songs. This included eleven songs penned by Terry, and covers of John David Souther’s Leaving and Gone; Brian Wilson’s Don’t Worry Baby and Bob Hillard and David Mann’s Wee Small Hours. They were part of a captivating show from Terry Reid, and were a welcome addition to his back-catalogue. So is The Other Side Of The River. After forty-three years of rumour and speculation, an album consisting of songs recorded during the River sessions were released. These eleven songs were billed as The Other Side Of The River. At last, here was confirmation that the rumour and speculation was true. Eleven songs recorded during the River sessions feature, and show The Other Side Of The River. This includes Let’s Go Down, a jam which opens the album. Terry Reid and his band play with a looseness and spontaneity. That’s the case on an alternative version of Avenue (F# Boogie), where Terry and his band head in the direction of blues rock. Avenue isn’t the only alternate take on The Other Side Of The River. Things To Try and River are both alternate tacks. Terry remembers Things To Try as a song the band couldn’t quite nail. It took several takes, and this is one of them. Just like the alternate take of River, it shows another side to the song, and it’s interesting to compare and contrast. Both songs would be worthy of featuring on any album. Country Brazilian Funk shows another side to Terry Reid. They play with speed, accuracy and passion, combining country, Latin, funk and even a hint of blues. It’s all change on Listen With Eyes, a beautiful, tender and understated sounding ballad. Anyway is another alternate track, is a piano lead track where Terry’s scats softly on a dreamy and beautiful track. There’s a hesitancy as the guitar opens Celtic Melody, as if the band are looking for an in. Eventually, Terry scats his vocal growing in power and passion. Alas, after just two minutes, the song is but a memory. Soon, though, Terry changes direction. Funny which is another of the alternate takes, is a eight minute meandering jam, that gradually reveals its secrets, subtleties and beauty. After six minutes, Terry Reid unleashes one of his most soulful, impassioned vocals. Late Night Idea was recorded late one night, at Wally Helder’s Studio and features Terry playing piano and scatting. With neither an audience in the gallery, nor studio, Terry plays with freedom. It’s a poignant moment. Closing The Other Side Of The River, is Sabyla another instrumental. After a hesitant start, Terry and his band hit their stride. The rhythm section and piano provide the backdrop for Terry, as he unleashes a blistering guitar solo on this instrumental. It’s one of the finest moments on The Other Side Of The River. After forty-three years of rumour and speculation, now further songs recorded during the River session are available. This includes new songs and alternate takes. Among the new songs, are instrumentals, including Sabyla. Listen With Eyes and Anyway are beautiful, understated ballads. A couple of songs are work in progress, and it would’ve been interesting to see what they might have become if Terry Reid had developed them further. They’ve bags of potential. Then on other tracks, including Let’s Go Down and Avenue (F# Boogie), Terry plays with his trademark looseness and spontaneity. When Terry plays like this, it’s as if at any given time, he could lead the band on a musical detour where they improvise, switching between and combining disparate musical genres. That’s what Terry does on Country Brazilian Funk, where he and his band showcase their considerable talents. They continue to do this throughout The Other Side Of The River. This much anticipated album is the perfect companion to Terry Reid’s 1973 album. The Other Side Of The River shows what Terry and his band were doing throughout other parts of the sessions. Doubtless, there’s still much still to be released. Who knows though, maybe the music on The Other Side Of The River is the best of the River sessions? What I do know, is that for anyone who enjoyed Terry Reid’s finest hour, River then The Other Side Of The River will be a welcome addition to their music collection. For newcomers to Terry Reid, then I would suggest buying both River and The Other Side Of The River. First familiarise with the delights of River, and then let Terry Reid take you to The Other Side Of The River and enjoy this mixture of new songs, familiar faces and hidden gems.